Online Application Details for Uttarakhand Medical Service Selection Board UKMSSB Recruitment of 203 Dental Surgeon is given below. 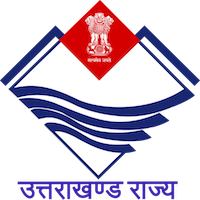 Application form and duly attested documents are to be sent to Secretary, Uttarakhand Medical Service Selection Board, Directorate of Health Service Campus, Danda Lakhond Sahastradhara Road, P.O Gujrara, Dehradun, Uttarakhand-248013. In envelope super scribed with 'Application for the Post of Post Name'.